Exactly how bad (or good) is your business’ level of service revenue? This four-question quiz rates your company against the rest of the industry. Many business leaders are focused on nurturing a business model that benefits from recurring revenue via service contracts or managed services – well, any sort of service revenue. It’s a solid business model that provides consistent cash flow, improves valuation of companies and tends to establish stronger and sticker relationships with customers. Of course, it’s not easy. Service-based business models require effective infrastructure, sales strategies and consistent support. The shift can be particularly challenging for companies that have long supported different revenue models – such as the product- and project-based model of traditional AV integration firms. While most AV integration firms understand the importance of transitioning to more service revenue, well, it’s easier said than done. According to results from Commercial Integrator’s 2019 State of the Industry Report survey, the needle isn’t moving as quickly as it likely should be. Based on data collected from the survey, conducted by CI and NSCA, we compiled a quiz to help companies gauge their shift to service revenue versus the industry. Nervous that you’re behind in your transition away from margin-based product and profit sales? Confident that you’re ahead of the industry curve? Your answers to these questions should set you straight in terms of where your service revenue ranks compared to the AV integration market. To what degree does your company earn recurring revenue through service contracts? 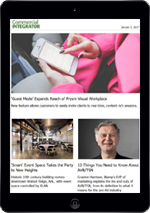 Has your firm sold and executed managed services during the past year? What is the biggest obstacles that is preventing my company from moving to as-a-service? In terms of a goal, by 2025 what percentage of your company’s total revenue should be recurring revenue through service or managed services contracts? The AV integration industry has a problem and — unless your business is unique to the point where it is viable without service revenue — you’re part of it. You need to more fully commit to the need to transition away from product- and project-based revenue and make service-related revenue a more significant part of your business. The good news is that there are lots of resources available specific to the AV integration market. A great first step is this taking in this webinar which aims to help you add significant service revenue to your bottom line in the next year — based on steps that are completely reasonable and relatively pain-free for most AV integration firms. You’re ahead of the curve! The AV integration industry has a problem …. but your firm is an anomaly in that you’re rising above it. Most firms need to more fully commit to the need to transition away from product- and project-based revenue and make service-related revenue a more significant part of their business. 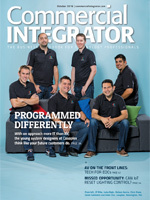 The good news is that there are lots of resources available specific to the AV integration market. Even you, somebody who is already trending in that direction, can benefit. A great first step is this taking in this webinar which aims to help you add significant service revenue to your bottom line in the next year — based on steps that are completely reasonable and relatively pain-free for most AV integration firms. 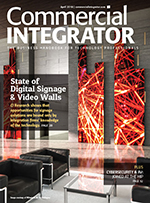 Don’t let your AV integration firm settle into some of the business-stifling trends reflected in the Commercial Integrator 2019 State of the Industry Report survey. Make it a priority to add more service revenue in 2019. Register for this free webinar presented by Commercial Integrator and Almo Professional A/V. 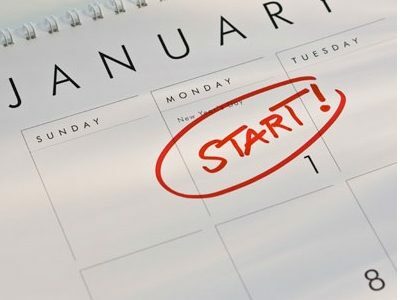 You’ll learn at least four steps that your integration firm can reasonably and easily take during 2019 that will almost certainly help you add significant service revenue. Join CI editorial director Tom LeBlanc as he moderates a discussion with Almo Pro A/V business development managers Jay Saret, Eric Olson and Robert Voorhees as they lay out strategies for you to execute to improve your service revenue and cash flow in 2019.